This exclusive event brought together HP senior management, partner principals and senior sales managers from channel partners across HP’s Enterprise Server, Storage and Networking (ESSN), Technology Services (TS) and Printing and Personal Systems Group (PPSG) business units. This year’s theme was ‘HP Top Gun’ and attendees participated in team building activity that gave them a chance to fly with Australia’s premier adventure flight company – Top Gun. After a Fighter Pilot Mission Guide to Success combat training session, partners participated in adventure flights flown by highly experienced former military Fighter Pilots. The event provided an opportunity for HP to share their 2012 strategy, direction and go to market plans to partners. 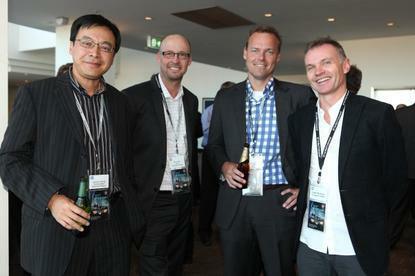 It also rewarded partners at the Premier Partner Awards dinner held at the Cascade Brewery in Hobart.